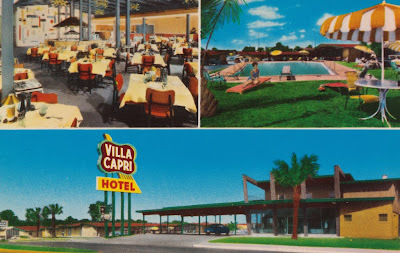 Villa Capri Hotel must have been a pretty swank place back in the day. 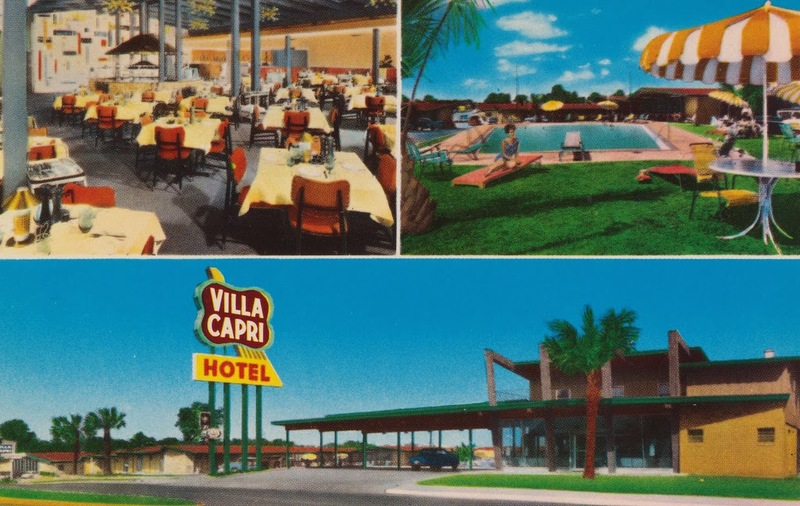 It had a great front enterence, 275 air-conditioned rooms, conference rooms and two swimming pools. 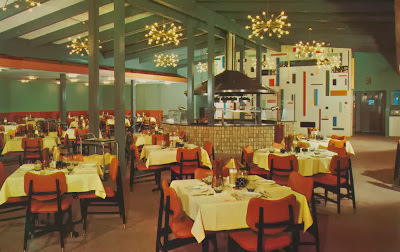 And a restaurant with some pretty sweet Sputnik chandeliers and interesting orange chairs. 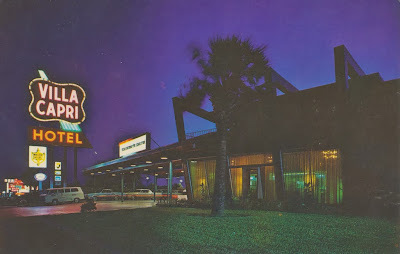 Sadly, it closed sometime in the 80s and that great big mod wall behind the grill probably got torn down with the rest of it.